The phrase ‘special needs’ is a very generic term. Children with special needs are not only different from their so called ‘normal’ peers but they are also different from one another. Each child with special needs presents with a unique profile of strengths and weaknesses. A lack of organisational skills is the one challenge that the majority of children with special needs face. Coats go missing. Books and lunch boxes are forgotten. Hours are spent each month searching through the lost property box at school looking for gloves, scarves, gym kit and jumpers. Organisational skills are a challenge for most SEN children because they have limited and inefficient internal structure. They are generally unable to organise their belongings, prioritize their actions or utilize their time efficiently to meet deadlines. They also struggle with temporal (time related) concepts so they have difficulty assessing, for example, how much time it takes to get ready for school or finish homework. 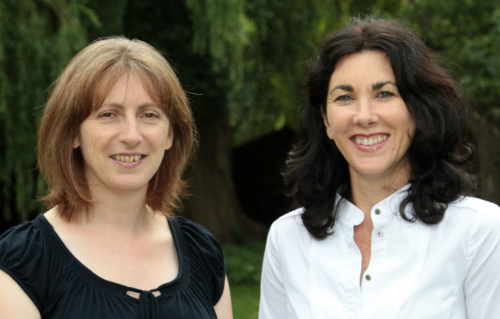 These organisational difficulties can put incredible strain on a family. As a parent of an autistic boy I know how frustrating it is when your child has organisational difficulties. I’m also aware how upsetting it is for Tomas to be constantly scolded and reprimanded for behaviours that are mainly out of his control. Tomas does not forget things because he is lazy or unmotivated. He has a neurological condition that means he struggles on a daily basis to make sense of the world we live in. Getting ready for school in a morning is a real test of organisational skills for any child. For a SEN child like Tomas the morning routine can be a source of extreme anxiety. There’s so much to remember – homework, lunch boxes, gym kit. Parents are also under pressure to leave on time and ensure that everyone has the right equipment for the day ahead. Like many SEN children, Tomas is extraordinarily visual. He needs to see things in order to remember and organise them. If things are out of sight they are out of mind. Tomas’s visual strength was one of the sources of inspiration for TomTag (that’s why it’s named after him!). 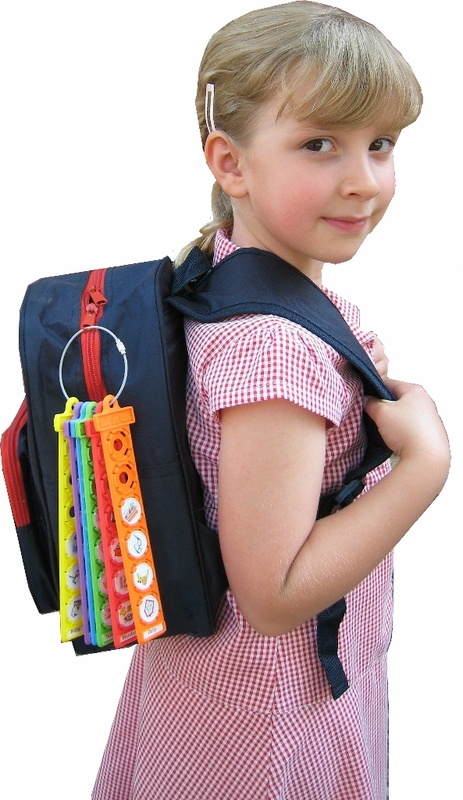 As TomTag clips easily to any school bag it is always to hand and the problem of misplacing the list is avoided. 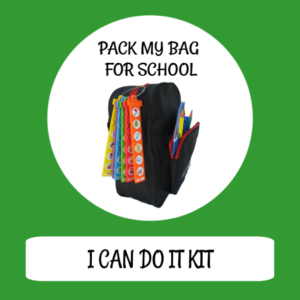 Learning to pack a bag for school sounds simple but it requires skills and self confidence. Using TomTag as a prompt, Tomas has been able to learn over the last few years how to pack his school bag for himself. The fact that he is now able to pack independently for high school is a real testament to the success of TomTag. By giving him a consistent external tool to use he has learnt to overcome his minimal internal structure. Teachers and parents benefit from children learning to pack a school bag independently. Fewer items are left in the infamous lost property box, morning routines are less stressful and for children like Tomas they are not only ready for school but have acquired important organisational skills which will pay dividends later in life. How do you teach a reluctant child how to pack their own bag with all the right things they need for the day ahead and to bring it all home again? 1. Select one day when there are not many items to take to school. Use only one tag from the TomTag pack to make a list of the relevant items and activities for that day. 2. Set aside some time the night before to pack the bag with your child and attach TomTag to their bag. Praise your child for remembering and packing everything they need for the day. 3. Ask your child to repack their bag at school using TomTag as a reminder of what to bring home. Check their bag when they return from school and praise them when they have been successful in bringing the correct items home. 4. 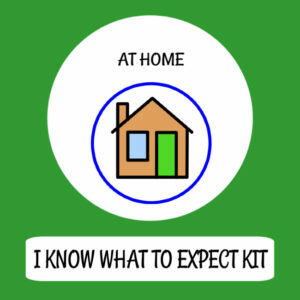 Ask the child to pack their bag on their own for the same day using TomTag as a visual reminder of what items are needed. Then check their bag for them. Praise your child’s success. If something is forgotten, refer back to the tag and repack. 5. Ask your child to repack their bag at school using TomTag as a reminder of what to bring home. Check their bag when they return from school and praise them when they have been successful in bringing the correct items home. 6. Your child packs their own bag using TomTag as a visual reminder and does not have it checked. Praise your child’s success. 7. Choose another more complicated day and repeat the process. Gradually build up to a full week and using the full TomTag set on the child’s bag. Packing their school bag independently, being organised and taking responsibility for their belongings are great life skills for all children to learn but are especially important for those with additional or special needs. TomTag uses only picture cues so it’s easy for any child to use.